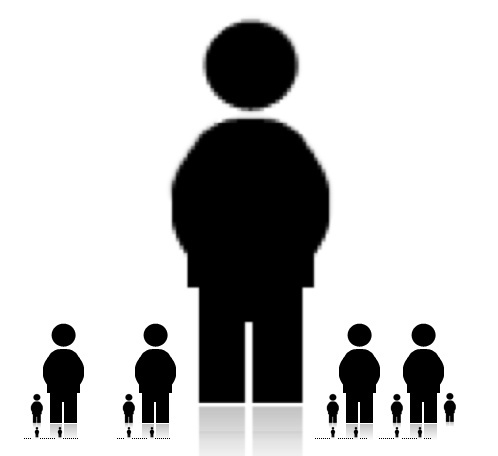 Same data, but shown with different sized people. XKCD: Where money comes from, and where it goes. 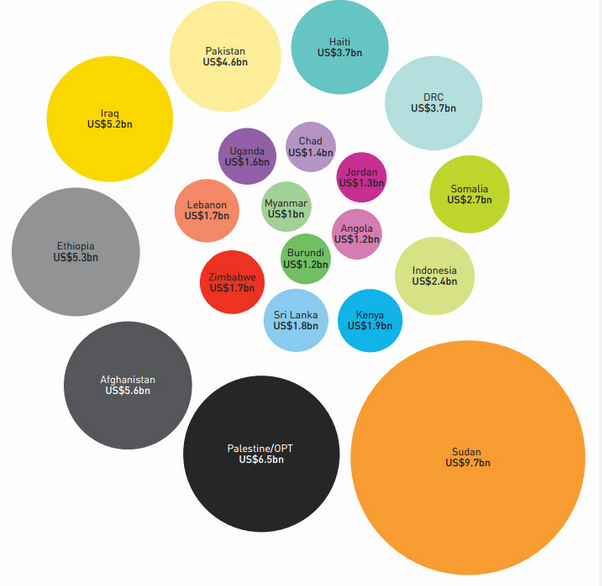 Where aid money goes in the world. The best, and clearest infographic on the subject, from Dan Ariely. 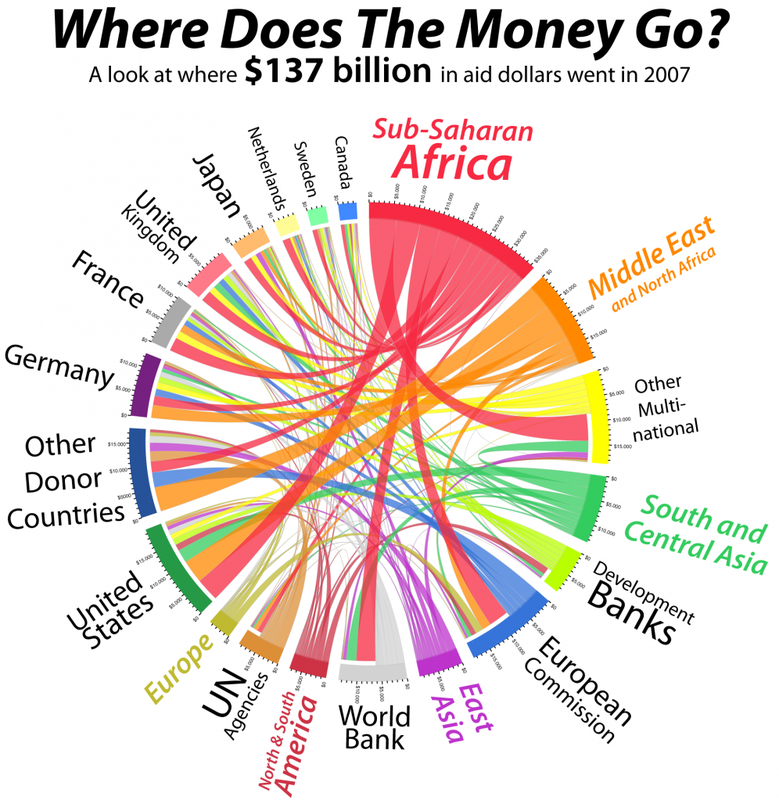 Where aid money goes in the world, 2011. Nice because it’s bar chart data, but presented in a more visually appealing way. Contrast that with the bar chart above, you’ll understand that we’ve been using some pretty crummy visuals to complicate otherwise simple stories. Last: My own global wealth infographic. The Earth represents real global wealth assets of about $56 TRILLION. The shaded Earth represents the debts, derivatives, CDOs, credit-default swaps, and insurance on that wealth, worth another $60 TRILLION. The moon is the amount of fake wealth we added to our books globally in 2011 to make them “balance” – $7.7 TRILLION. How many trillions are in Kenya? Why has not succeeded to fully respond to MDG 4 , 5, & 6? I think the whole premise of MDG (millennium development goals) is folly – since it assumes collective responsibility for meeting the goal. If everyone is responsible, NO ONE is truly responsible. Any MDG goals that we’ve met are not as a result of MDG conferences, but more likely due to other behavior change efforts. For decades the US government has tried to curb consumer demand for gasoline. The biggest changes (lower consumption) came from external price hikes by the Saudis, not from any campaign about responsibility for the environment. My friend, Marc Maxson, has a gift for aesthetically-pleasing visual representations of complex data. 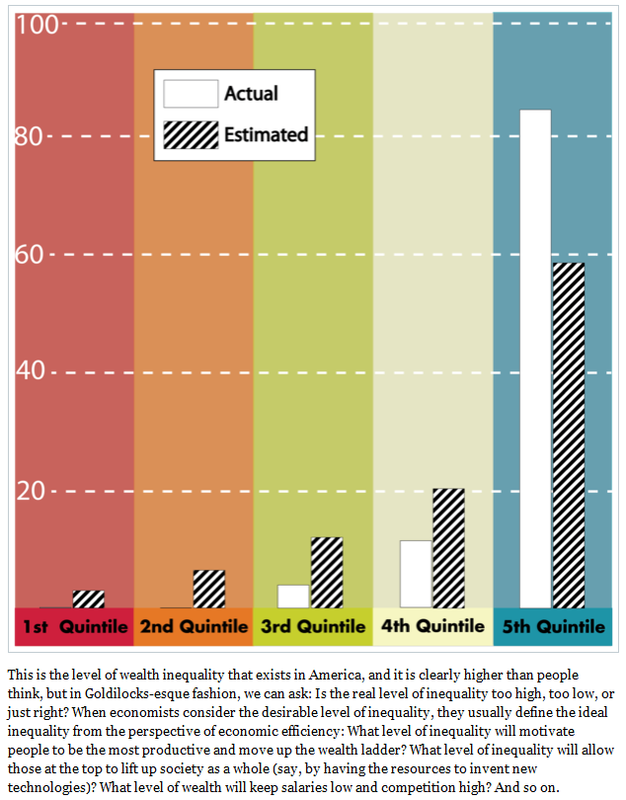 In this blog post, he shows the inequality of wealth distribution across the globe. “Where does the Money Go?” would indicate how broken the international aid system is. As an example, the Nigerian state has lost more money lost to graft and corruption since 1960 than it is has ever received total in international donor funds. Clearly, Nigeria does not lack money, it lacks an accountable system with responsible leaders that stop politicians from looting it all. Another great source of artful data display can be found on http://www.informationisbeautiful.net – “What are the Wall Street Protesters so Angry About?” shows that the U.S. ranks just under Cameroon and Iran in terms of fair distribution of wealth. Many developing countries without the American institutions of financial regulation actually have far greater wealth equality than the United States, e.g. Uzbekistan, Turkmenistan, Venezuela, Burundi (and yes, Nigeria too). The paradox is that these countries listed are all ranked by Transparency International (TI) as the most corrupt in the world. 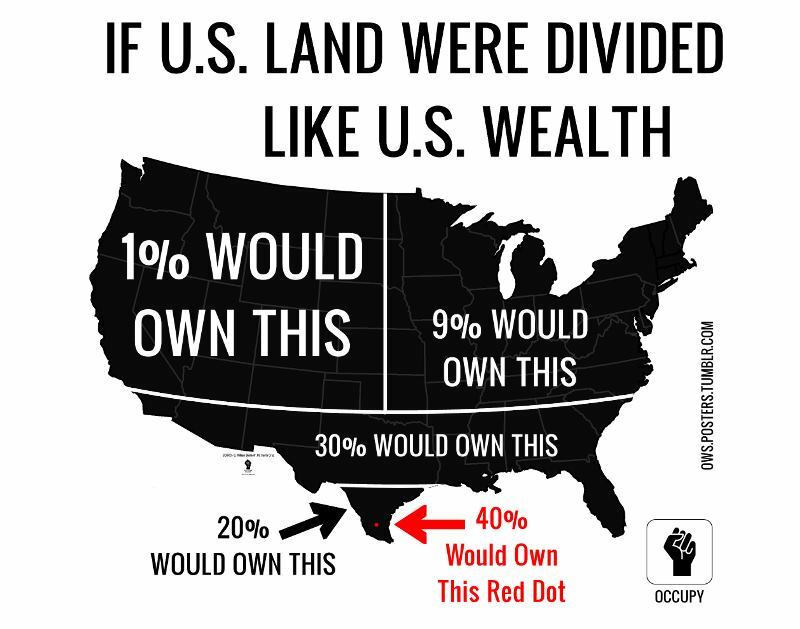 Although one could argue that it is easy to have equal distribution of wealth when everyone in a country lives on a dollar a day, there is also something very wrong when the top 1% have 43% of financial wealth, and actually get richer during an economic meltdown. Somehow, I think that runs counter to the ideals of American democracy, a country purportedly “very clean” on the TI index.